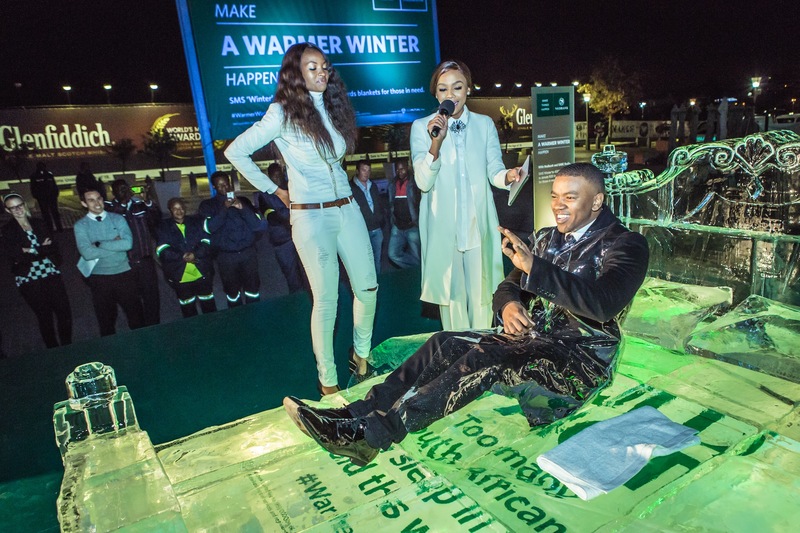 Thousands of vulnerable South Africans – especially orphaned children and senior citizens – will experience icy temperatures this winter, increasing their chances of cold, flu and chronic respiratory illnesses – and the ice bed is Nedbank’s way of illustrating the cold facts and encouraging those who are more fortunate to make a warmer winter happen for others. 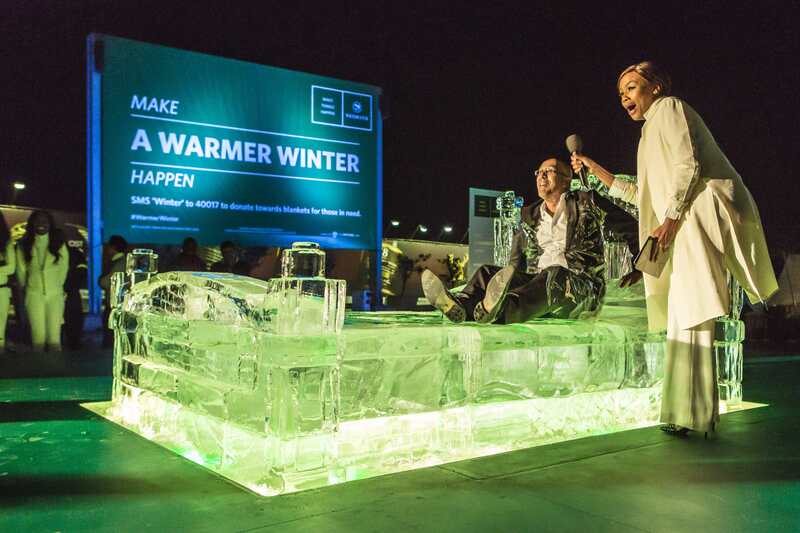 A number of the celebrities attending the launch, including Bonang Matheba and SAFM presenter Ashraf Garda, even dared to lie down on the frozen bed, and were only allowed to get up after their fans and followers tweeted the hashtag #WarmerWinter. Kone Gugushe, Divisional Executive for Corporate Social Responsibility at Nedbank, said the bank has invested R3.2-million into the campaign over the last five years, which translates into 16 500 blankets donated to close to 36 000 people. “As a bank for all, Nedbank is highly involved in the communities we serve. Today’s launch seeks to remind fellow South Africans that each of us can do something to make a positive impact on someone else’s life. Over the past years, we have received amazing support from all corners of the country and we are confident that through the generosity and support of Nedbank employees, our clients, the public and all members of society, this year’s campaign will be an even greater success,” she said. 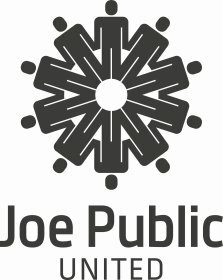 “The ice bed sculpture is a two-ton creative opportunity to raise awareness and talkability about those who don’t have the privilege of keeping warm in winter. With the sculpture representing a physical exaggeration of a ‘cold bed’ we have really pushed to bring the campaign idea to life this year,” says Adam Weber, Executive Creative Director, Joe Public. Anyone can contribute R20 towards the blanket drive by sms-ing the word ‘winter’ to 40017, or donate a minimum of R100 to Nedbank Savings Account: 2001120915 using “Winter” as the reference. Johannesburg Child Welfare and Ithlokomeleng Old Age Home received blankets during the event and their representatives gave testimony of their long-standing relationship with Nedbank and what the blankets mean to them. A group of artists from Johannesburg’s Living Artists Emporium were also present, and pledged to paint 10 paintings around the theme ‘MAKE A WARMER WINTER HAPPEN’. Their finished paintings will be unveiled during the closing event in July, after which they will be auctioned off and the monies raised will be used to buy more blankets for beneficiaries. Host Ashraf Garda takes his turn on the chilly ice bed. 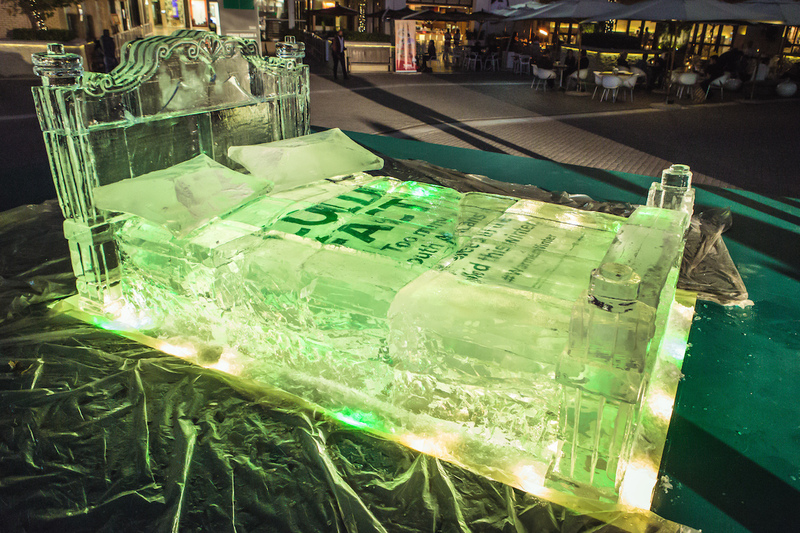 #WarmerWinter Campaign ice bed was made out of 2 tons of ice.